While the northwest corner of the Angeles National Forest (and my PCT segment) remains under the Powerhouse Fire closure order, I'm turning my attention to the Station Fire area. 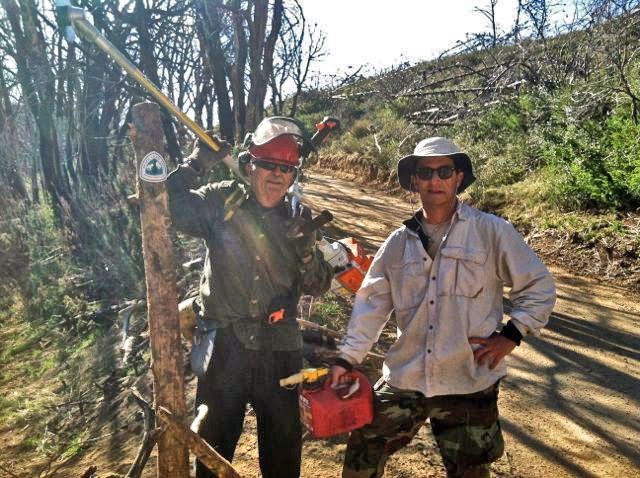 Having completed the 2014 inventory of the burn area, Pete Fish's Trail Gorillas are working hard to clear the trail around Mill Creek Summit before summer. If you can join us next weekend, I'll be out on Saturday April 12, but the project is from Friday through Tuesday. It's been 4-1/2 years now since the Station Fire, and with dead trees continuing to fall, new growth now kicking into high gear, and the reviled Poodledog Bush finally in retreat, it's interesting to see the burn area responding.